Hallelujah! Gone are the days of sacrificing comfort for style. 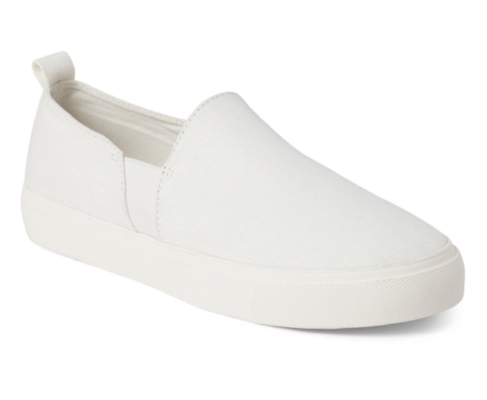 Sneakers are in now more than ever, which means you can kiss the days of hobbling home on six-inch death traps goodbye. Sneakers have been making a comeback in a major way for several years now thanks to the athleisure trend. The styling rules have changed, however, and when it comes to sneakers, anything goes. We’ve got you covered with four ways you may not have thought of to stay comfy while still looking fabulous. We all have a go-to t-shirt dress (or six if you’re me) that never fails when you don’t know what to wear. No matter what the pattern may be, it will always pair well with white sneakers. I know, it’s hard to imagine yourself feeling feminine and girly in a floral dress with what look to be cinderblocks on your feet. But trust, dad sneakers are very in and you’ll look like an influencer incognito. Paperbag shorts are so cute, but can be difficult to decide what to pair them with. We love a simple look with a neutral sneaker and plain t-shirt. Try out platform sneakers for this one! They’re the best way to elevate your look (in more than one way hahahasomeonehelpme). Match the sneaker to one of the colors within the pattern to pull the look together perfectly.